Mattress Mike is the exclusive Santa Barbara/Goleta Dealer and carries companies such as FlexSteel, BestHome Furnishings, and C&L Designs! 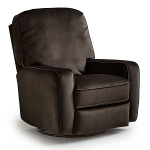 Our showroom contains many Recliners, Rockers, Power and Lift Chairs, Sofas, Sofa-Sleepers, Swivel-Recliners, Sectionals, and Stationary models, in a variety of coverings, including leather. 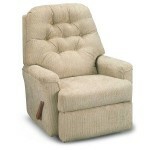 We also warehouse many products on-site for immediate delivery. 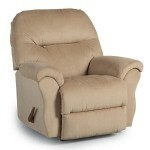 The soft curves and clean style of the classic Best Home Furnishings recliner are extremely versatile. 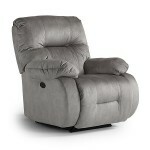 When it comes to relaxation, the Asher recliner is LOADED! Double the trouble, but double the comfort. 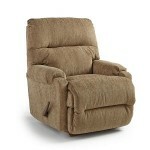 This plush recliner offers a split back cushion and split arm rests, for extra style and support. 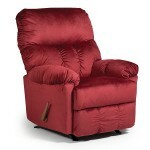 You'll have a blast picking the fabric that best suits this recliner. 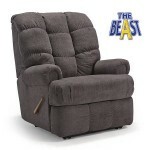 The Bodie recliner is styled to be the perfect addition to your home, whether it is an oasis in a man cave, a staple item in the family room or a nice reprieve in a den. 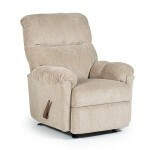 Timeless and tasteful, this Best Home Furnishings recliner will love to bask in the sunlight with you. 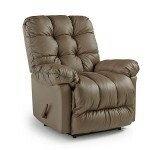 Bring the ultimate Best Home Furnishings recliner to your home for superior comfort and the perfect seat. 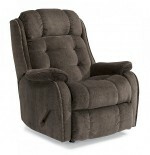 One of Best Home Furnishings most comfortable recliners to date, the overstuffed biscuit back is filled with premium cushioning fibers along with the back, seat, arms and chaise lounge. Sink into the burly, brawny Bruticus to ease your body after a long day on the job. Part of our Beast® line. 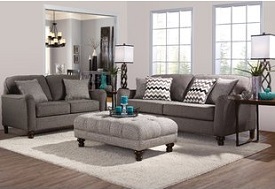 Nailhead trim accents modern comfort. Rounded edges and pillowed cushions make the Camryn one inviting recliner, and one you'll want to invite your friends over to enjoy as well. 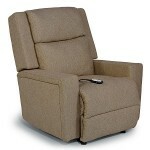 When you just need time for yourself, the Cannes is the perfect safe haven. The tufted back cushion of the Cara inspires a timeless sense of elegance. Modern sophistication mixed with traditional design.